The Canon XL1 was the first of the high-end Hi8 video cameras. and with interchangeable lenses. 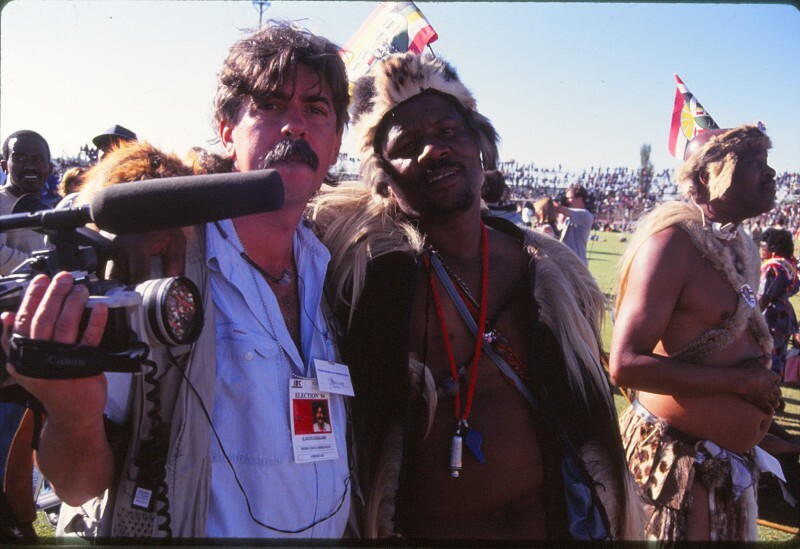 This was at a rally for the INKHATA Party (basically the Zulus) during the South African elections of 1994. The Zulus were the spoilers, determined NOT to see Mandela elected. I have NO idea who the man was. This entry was posted on Sunday, December 26th, 2010 at 8:36 am. It is filed under . You can follow any responses to this entry through the RSS 2.0 feed. You can leave a response or trackback from your own site.